Robert P. Kraft, an eminent astronomer and former director of the University of California Observatories and Lick Observatory, died on Tuesday, May 26, at Dominican Hospital in Santa Cruz. Kraft, a professor emeritus of astronomy and astrophysics at UC Santa Cruz, was 87. A widely recognized researcher, Kraft was also a gifted administrator who helped guide astronomy into the modern era. He joined the astronomy faculty at UC Santa Cruz and Lick Observatory in 1967. After two appointments as acting director, he was named director of Lick Observatory in 1981 and became director of the newly created UC Observatories in 1988. In that position, he oversaw both Lick Observatory and UC's role in building the state-of-the-art W. M. Keck Observatory in Hawaii. 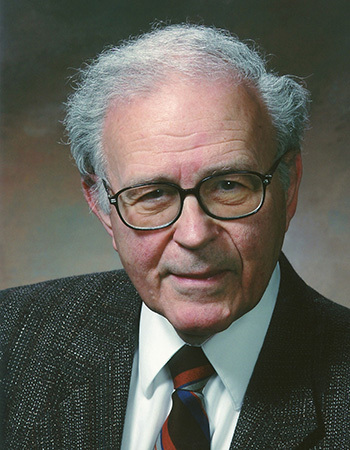 "Bob Kraft was a major player in a great era for astronomy," said Joseph Miller, professor emeritus of astronomy and astrophysics at UC Santa Cruz, who served as associate director under Kraft and succeeded him as director of UC Observatories. Kraft played a key role in bringing about the Keck Observatory, committing the resources of Lick and UC to the construction and instrumentation of the world's first 10-meter telescope, now known as Keck I. Keck I and its twin, Keck II, are among the largest optical and infrared telescopes ever built. UC Observatories, which he directed until 1991, now operates Lick Observatory, manages the Keck Observatory in cooperation with Caltech and NASA, and oversees UC's participation in the Thirty Meter Telescope project. "Bob created UC Observatories because he realized that we needed a different and more comprehensive organization for UC astronomy with the coming of the Keck," Miller said. "He spent countless hours working with people on other campuses and top UC leadership, gathering support for the new organization and getting it in place." Kraft also served as president of the American Astronomical Society from 1974 to 1976 and president of the International Astronomical Union from 1997 to 2000. UC Santa Cruz Chancellor George Blumenthal, a fellow astronomer, recalled Kraft as "a true scholar with amazing breadth, and a caring and compassionate man who greatly improved the lives of his students, his colleagues, and his family." Blumenthal noted that Kraft "had deep interests and taught courses on wine and music, with a particular passion for Beethoven." As a researcher, Kraft made important contributions to the understanding of novae, stars that undergo a sudden increase in brightness due to massive nuclear explosions. He showed that all novae arise from close binary star systems in which one star (usually a white dwarf) siphons off hydrogen and helium from its companion, leading to an explosion. "Between 1962 and 1965, Bob Kraft published a remarkable series of now classic papers, convincingly demonstrating that both the bright classical novae, known from antiquity, and the much fainter dwarf novae, whose studies essentially began in the 19th century, all had one thing in common--they were binary star systems," said his colleague John Faulkner, a professor emeritus of astronomy and astrophysics at UC Santa Cruz. Kraft also established an important rung on the ladder of celestial distances by assessing the contribution of interstellar dust to the dimming of Cepheid variables in the disk of our galaxy. His work on stellar rotation showed that stars like the sun spin slower and slower as they age because winds of charged particles carry away their angular momentum. He later turned his attention to the chemical composition of stars in the Milky Way. Kraft was elected to the National Academy of Sciences in 1971 and the American Academy of Arts and Sciences in 1973. In 1995, the American Astronomical Society named Kraft the Henry Norris Russell Lecturer in recognition of lifetime achievement in astronomy. He received the Astronomical Society of the Pacific's highest honor, the Catherine Wolfe Bruce Gold Medal, in 2005. Born and raised in Seattle, Washington, Kraft earned B.S. and M.S. degrees in mathematics from the University of Washington and a Ph.D. in astronomy from UC Berkeley. He held faculty positions at Indiana University and the University of Chicago in the 1950s, then rose to prominence in the 1960s as an astronomer at the Mt. Wilson and Palomar Observatories in Pasadena. Kraft was married for nearly 60 years to Rosalie Ann Kraft, who died in 2009. He is survived by two sons, Kenneth and Kevin, and a grandson, Cary. A memorial service will take place on July 18, 2015, at 2 p.m. at the Unitarian Fellowship in Aptos, CA.